This modern and chic triangle shawl is eye catching and a luxurious piece to wear! The Shawl is worked in the Herringbone Double Crochet Stitch that gives this shawl an interesting stitch pattern yet easy and quick to work up. 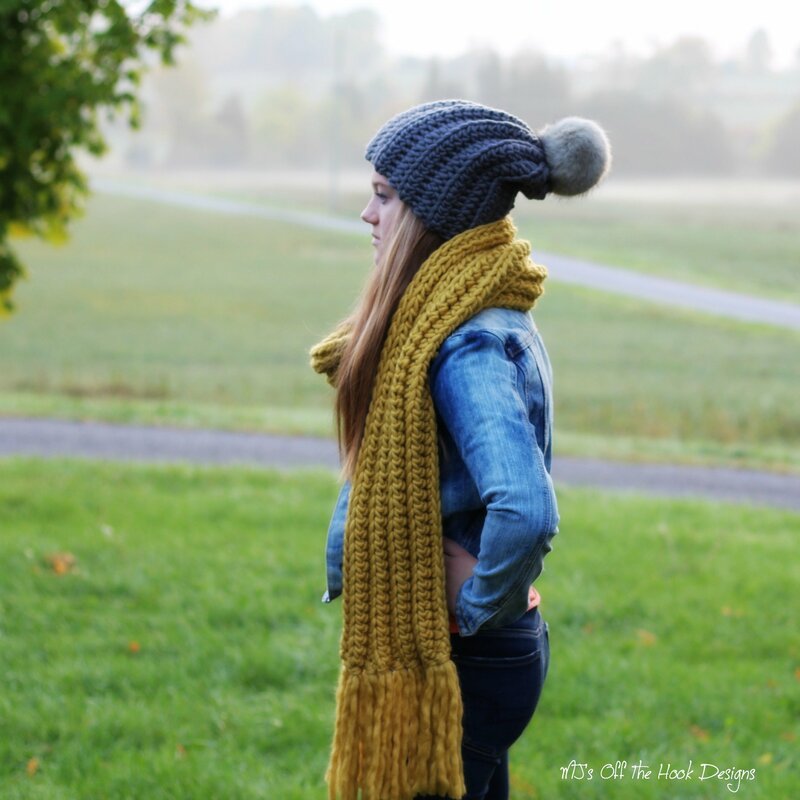 Make this shawl in a day using bulky weight yarn! Designed in Sugar Bush Yarns Canoe. Kit includes 4 balls of Sugar Bush Yarns Canoe in choice of color and the PDF pattern via digital download. Video tutorial on our YouTube Channel.